The most contentious and controversial of these is ‘Personal Beliefs and Medical Practice’ (PBMP), which deals with both faith-related discussions within a medical consultation and also conscientious objection. The new draft of PBMP imposes new restrictions on doctors’ expression of personal beliefs and new duties to provide gender reassignment to transgender patients and contraception to the unmarried. It also requires doctors to participate in referral for abortion in some circumstances. The review is crucially important because, once finalised (definitive drafts will be published in November), this guidance will be the basis on which doctors are judged and those who breach the rules will be at risk of disciplinary proceedings and losing their medical registration. The Christian Medical Fellowship is deeply concerned that the PBMP guidance in its current form is seriously flawed and will be used as a basis for vexatious complaints against Christian doctors who express their Christian beliefs, respond to patients’ spiritual needs or wish to be excused from certain procedures on grounds of Christian conscience. The consultation is open to anyone who wishes to comment on the issues raised but closes on 13 June so there is very little time left to respond. The easiest way to respond is by filling in an emailable pdf on the GMC website. The pdf covers all nine guidance documents but only the six questions on pages 26 to 29 and the personal details and questionnaire on pages 41-44 are relevant for those who wish to comment only on PBMP. The following answers outline the main points CMF will be making in its organisational response. If you do make use of these points then please feel free to put them into your own words. There is a more detailed briefing here. Recent changes in law and ethics mean that Christian doctors who express their personal beliefs and values, provide spiritual care or refuse to provide treatments and procedures they consider unethical are facing growing pressure to act contrary to conscience. Guidance in this area is therefore necessary to clarify the specific rights and duties of doctors. The guidance provides more detail about what doctors should do if their beliefs conflict with carrying out particular procedures, or giving advice about them. Currently we allow doctors to withdraw from providing or arranging treatments or procedures on the grounds of conscience, whether or not this is covered by legislation. 2. Do you think this is a reasonable position for us to maintain? We support doctors being able to withdraw from providing or arranging treatments or procedures on grounds of conscience, whether or not this is covered by legislation. The doctor’s duty should end with the obligation to inform a patient that he/she has a right to see another doctor. However the new guidance in its present form does not fully allow this but says that doctors must ‘be prepared to set aside their personal beliefs’ in situations of conflict. Many doctors would see this as being forced to participate in treatments or procedures that they believe are unethical, clinically inappropriate or not in a patient’s best interests. 3. Is the guidance on gender reassignment clear? If no or not sure, please say why. 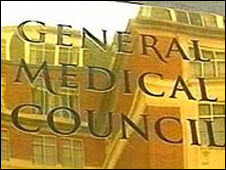 It is unclear why the GMC has singled out ‘gender reassignment’ as the one area where doctors cannot opt out of ‘providing treatment’ given that transgender people are only one of nine protected groups under the Equality Act 2010. These include 'religion or beliefs'. The treatment of gender identity disorder (alternatively gender dysphoria) is extremely controversial and many doctors do not believe that surgery or hormone treatment is clinically appropriate or ethical. To force such doctors to ‘provide’ such ‘treatment’ or refer patients for it with no option to opt out is wrong. The doctor’s duty should end with the obligation to inform a patient that he/she has a right to see another doctor. 4. Are there any references to supporting information we could include to make the guidance more helpful to doctors? Forcing doctors to act contrary to conscience undermines their professional status and runs contrary to historic codes and declarations of rights and ethics. The International Code of Medical Ethics of the World Medical Association (WMA) (1949) says that ‘a doctor must always maintain the highest standards of professional conduct’ and that it is unethical to ‘collaborate in any form of medical service in which the doctor does not have professional independence’. 5. Is the guidance clear? We suggest that the guidance be amended to make it clear that patients may indicate they would welcome such a discussion in the course of giving a spiritual or religious history in response to sensitive questioning. Doctors should not have to rely solely on unlikely nonverbal clues (such as carrying a Bible or Quran!) to obtain this information. Endnote 5 is insufficiently clear in its main text and footnote about doctors’ obligations with respect to abortion. The Abortion Act 1967 protects the right to refuse to participate in termination of pregnancy and the guidance should make it clear that this includes the right to refuse to participate in referral, authorisation and routine preoperative and postoperative care of patients having abortions. 6. Do you have any other comments on Personal beliefs and medical practice? It should be clearly stated in the guidance that reasonable accommodation should be made for doctors who have a conscientious objection to providing certain forms of treatment to anticipate and avoid situations of potential conflict ahead of time. Sadly I cannot support this stance for the simple reason I would be appalled to go to the doctors and be lambasted for wanting a procedure that was contrary to the doctors beliefs (highly unlikely, but the potential is there). And I most certainly would not want a Muslim doctor to express their personal beliefs and values to me or provide me with spiritual care. 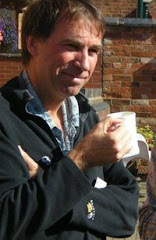 If I wanted spiritual care I would go to pastor, minister or vicar for such care not a doctor. Thanks but the changes we are suggesting would not lead to either scenario that you describe. Doctors would simply have the right not to provide treatments that they felt were inappropriate, not in the patient's best interests or unethical. And they would be able to share their own personal beliefs only if the patient actually welcomed it.